Read or Leave a Review Below. Thanks! HIGHLY RECOMMEND this company!! After my initial call to inquire on pricing, there was a crew pressure washing my house within 2 hours!! Joshua (the owner), was very kind and a great communicator. He even followed up with me to be sure I was completely satisfied with the job. Very reasonable pricing as well. Thank you Brown’s Pressure Washing!!! Had [Josh’s team] out to do a roof cleaning service. To start, the owners and employees are extremely respectful, humble and just great people. The work they completed was excellent and could not have asked for anything better. On top of the roof cleaning, they also did a gutter/down spout cleaning. They had to clean and rinse a few times since, sadly, my gutters were that dirty. Also pressure washed our shed, and cleaned the roof as well. All around, an excellent company that I will always ask for their services for any future work! Highly recommend! Couldn’t be happier. The guys were professional, courteous, and did an outstanding low pressure house wash. House looks like new. I’ll be bringing them back to wash and seal my driveway soon. I give [them] my full endorsement. Thanks guys! Excellent job on my house, prompt service and would definitely use this company again the future. Josh and his crew did a great job on our house and driveway. I would recommend him and his company to anyone. Josh (the owner) is a fine young man who knows how to take care of his customers. He was prompt, courteous and professional. His prices are reasonable and he knows what he’s doing. Mr. Brown did an excellent job pressure washing our home and drive! Very thorough and completed in a timely manner. Will definitely use him again. Joshua pressure washed my house and drive way, they did an excellent job. They were very polite and respectful and notified me every step of the way. I would recommend his service to anyone. God is good. I could not be happier with the job Josh and his crew did. They were punctual and very professional. Josh not only described what they were going to do but explained each step and process as well. Reasonable rates, attention to detail and outstanding customer service. Had a few areas I wasn’t completely happy with but they came right back and did an amazing job! Very pleased with end result. Josh did an incredible job on our house. He has pressure washed the house and cleaned/sealed our driveway and sidewalk. He’s a great communicator and his prices were reasonable. We’ve had a great experience and I would highly recommend him to all my friends and neighbors! Joshua and his crew were wonderful – prompt, courteous and professional. They moved all of our plants and furniture and then place them back when they were finished. We were so pleased we had them seal our aggregate driveway – and it was done meticulously. If you want a terrific job done at a reasonable price, please call them! We couldn’t recommend them highly enough! Arrived on time, courteous workman and did an excellent job on washing my house and driveways. Highly recommend their services. Josh and his team were great to work with, both courteous and professional. The work was done quickly and efficiently and they went above my expectations. They were able to remove roof stains on our house that I thought would be impossible. A job well done and our house looks like new again! Deck looks brand new! Definitely will be a repeat customer. Amazing work! The guys were so nice and a great price! This service was great. Friendly and efficient. It looks great. My wife and I are very pleased with the price and the results. Thanks so much! 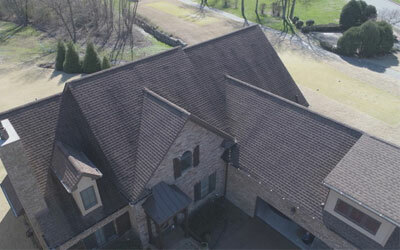 Had Brown’s Pressure Washing out to do a roof cleaning service. To start, the owners and employees are extremely respectful, humble and just great people. The work they completed was excellent and could not have asked for anything better. 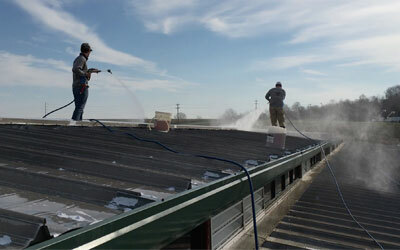 On top of the roof cleaning, they also did a gutter/down spout cleaning. They had to clean and rinse a few times since, sadly, my gutters were that dirty. Also pressure washed our shed, and cleaned the roof as well. All around, an excellent company that I will always ask for their services for any future work! Highly recommend!